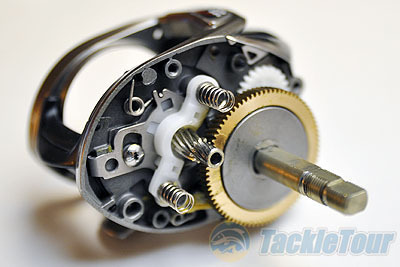 Introduction: Looking for a lightweight high speed reel at a reasonable price? Daiwa�s Aggrest baitcaster is designed to be a cost effective reel that features a number of proven Daiwa features in a compact and lightweight footprint. 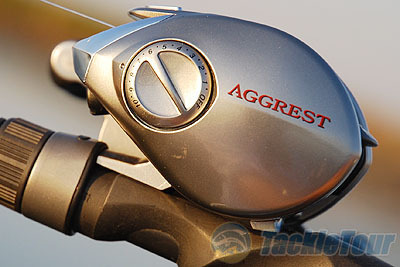 Does the Aggrest have what it takes to attract anglers in the highly contested sub 200 dollar range? Impressions: The Aggrest slots in between the very affordable Exceler alongside the moderately priced TD Advantage HSTA and below the pricier Zillion series. 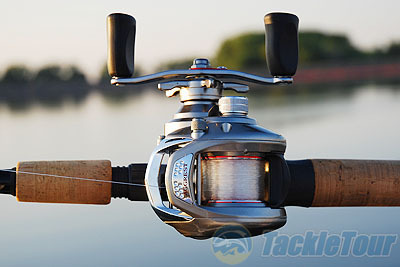 What makes the reel unique is that it is relatively lightweight and includes many of the features of higher end Daiwa reels including CRBB anti-corrosion bearings and a high speed 7.3:1 gear ratio, yet it retails for a sub 200 dollar price. 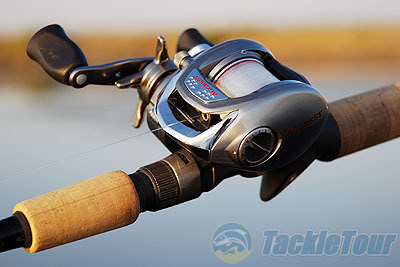 The Aggrest is also available in Japan under the same name and though the profiles are near identical the reels do have different cosmetic treatments. The Aggrest features a branded plate on top of the center of the reel, we suspect Daiwa did this to help distance the series from the Exceler and Strikeforce which have very similar profiles and the same basic layout. 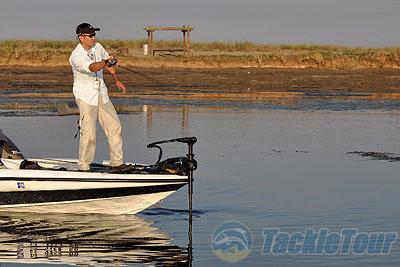 But does the reel offer enough to justify the 100 dollar premium over the Exceler? It is time to find out. 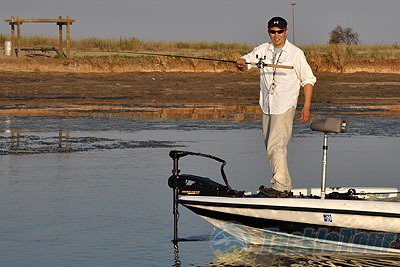 Real World Test: To test the Daiwa Aggrest baitcaster we fished for both largemouth bass and stripers. The majority of the test was spent fishing fast moving baits where the high speed retrieve could really be put to the test. This included a whole lot of ripbait fishing for landlocked stripers. We paired the Aggrest with a range of rods including Carrot Sticks as well as Daiwa�s own Light and Tough rods. 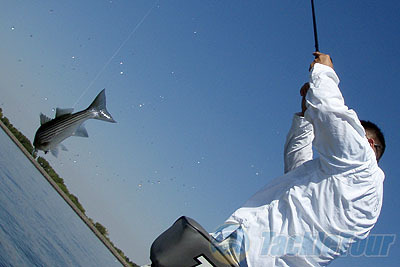 Casting: The Aggrest proved to be an excellent caster in our tests and in many ways is just as good as the more expensive Zillion. Both short and long range casts were easily accomplished and the reel was surprisingly good at pitching weightless rigs. 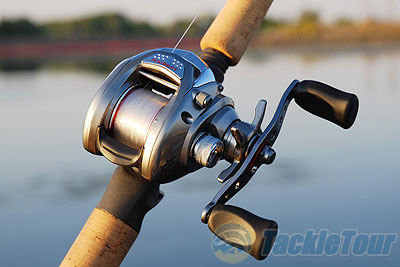 The Aggrest makes use of a well balanced aluminum spool but what makes this reel such a competent caster is what is concealed beneath, the Magforce Z cast control system. This proven automatic magnetic braking system continues to stand the test of time and combines the attributes of mechanical braking with magnetic braking design. 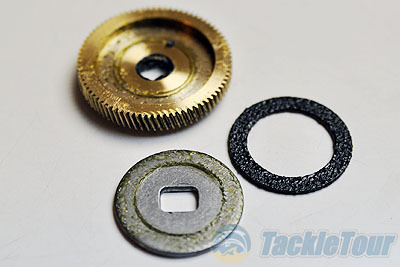 Right behind the sideplate anglers will find an inductor cap which is retracted when the spool spins at low speed. This makes start ups quick as there is no magnetic effect applied. This makes it possible to pitch lightweight baits without the magnetic system applying too much distance robbing force. Once the spool approaches high speed the inductor cap moves outwards into the gap where the magnets apply consistent breaking to prevent spool overrun, then as the spool slows it drops back so the spool winds down at a smooth even rate. 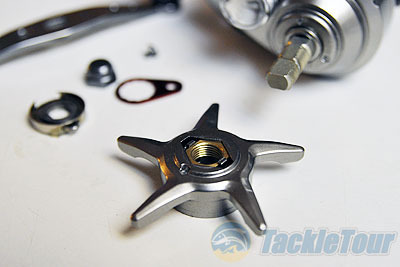 As with most Daiwa baitcasters this system is adjusted externally on the non handle sideplate via a rotating dial. Retrieve: The Aggrest is only available in one retrieve speed and that is 7.3:1. 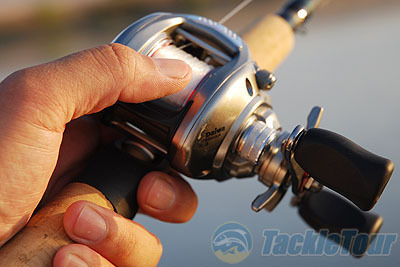 With each turn of the long handle the reel brings back 32 inches of line. This makes this reel a good choice for fast moving low water resistance baits, making it a good choice for jerkbaits and not so good for deep cranking. Another advantage of this rapid retrieve is you can pound spots quickly with plastics or jigs and bring the lure back when you feel like the lure is out of the strike zone, essentially wasting less time between casts in unproductive water. The Aggrest does feature Daiwa�s �swept handle� design which brings the knobs closer into the sideplate, this feature is designed to create less wobble and provide more leverage. Wobble typically isn�t something we observe on low profile baitcasters but the design doesn�t seem to affect performance negatively and adds a nice cosmetic element to the reel. 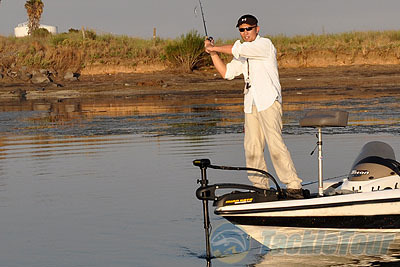 The Aggrest makes use of 2 CRBB, 4 BB and 1 RB and feels reasonably smooth and connected but is definitely not as polished as the more expensive Zillion reels. It never feels sloppy like some competing reels but under load can feel a little hollow which is more of a result of the frame and sideplates versus the actual gearing. Am I nitpicking? Yes. 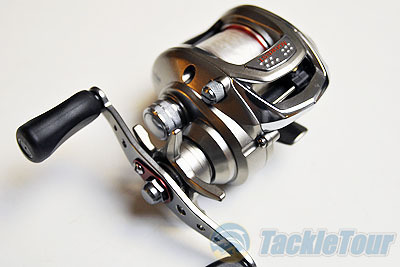 But at the 179 dollar price point there is some serious competition to consider including the Shimano Curado 200E7 (7.0:1) at the same price and the Abu Garcia Revo SX (7.1:1) which is actually 10 dollars cheaper.